The Marie Colvin tiny house floor plan from Four Lights is one of their larger tiny houses and boast craftsman style finishes throughout. The Marie Colvin design is very nicely laid out and very well suited to a couple. This model even includes a storage area accessible from outside for tools and outdoor gear. Near the entrance of the Marie Colvin Tiny House is a eating/dining nook that can easily double as a small office area or other usage. What I really like about this design is the larger sitting/living area with a roomy kitchen. Having a sleeping area on the main floor is ideal if you do not like climbing ladders at bedtime and leaves the upstairs loft area for guests or kids – meaning you could use this plan if you have a child or one is planned in the near future. 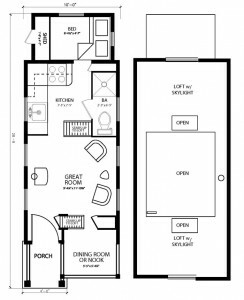 At roughly 29′ x 10′ this tiny house floor plan has plenty of options and Four Lights sells this plan as a fully finished design, or just the shell and exterior finishing – this allows you to finish the interior to suit your own needs perfectly. 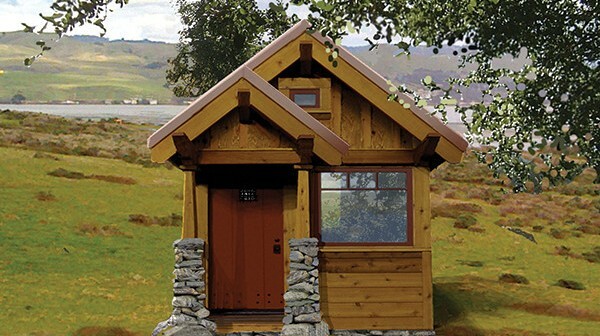 At 10′ wide and 14′ 8″ high, the Marie Colvin tiny house is roomy and spacious. However, this does not make this unit ideal for towing on a regular basis. It is considered a “Wide Load” and “Over Height”. Four Lights plans include plans for both trailer mounted and fixed foundation, but if you build on a trailer it requires a commercial driver’s license to legally tow it in North America and you may need to plan travel routes very carefully. In my opinion, if you purchase the plans for this tiny house you would be best off going with a fixed foundation and building on site. Jay Shafer, founder of Four Lights, is known for being very detailed and this shows in these plans. The image on the left here is a snippet from the Marie Colvin floor plan and you can see that no detail is left out. With Four Lights there is no guess work and each plan comes with a complete materials list to allow pricing of your tiny house in advance – ideal if you are on a budget and might have to change finishes prior to starting your project. 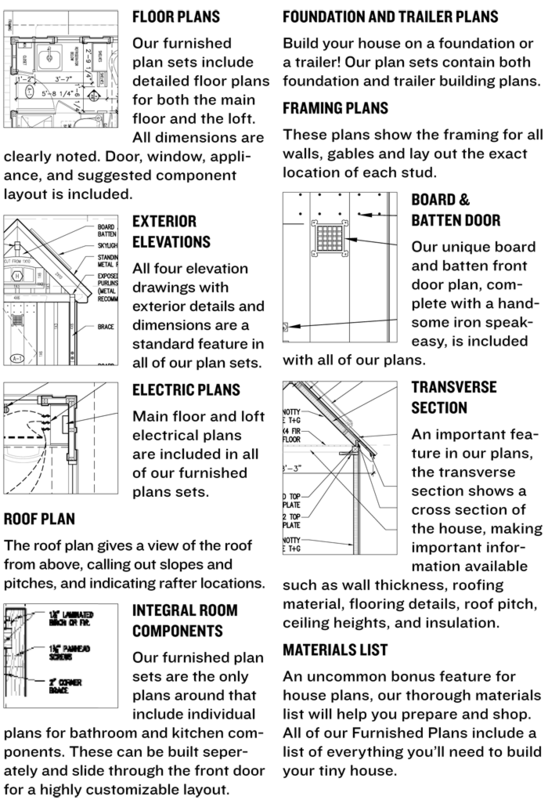 What is Included With The Marie Colvin Tiny House Floor Plan? Great design, a very charming tiny house with plenty of space for a couple, and ideally suited to anyone who does not want to sleep in a loft area. 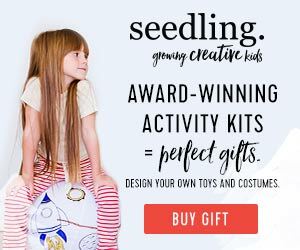 The plans are very detailed and complete… which is perfect for anyone who does not want to work things out on their own (although a shell plan is available for those that do). Wide enough for a fixed foundation, but still narrow enough to be towed to site and setup (although a commercial license is required to do so). This allows for construction anywhere that is convenient and economical and avoiding the problems associated with building in rural or remote areas where power and other utilities may not be available. 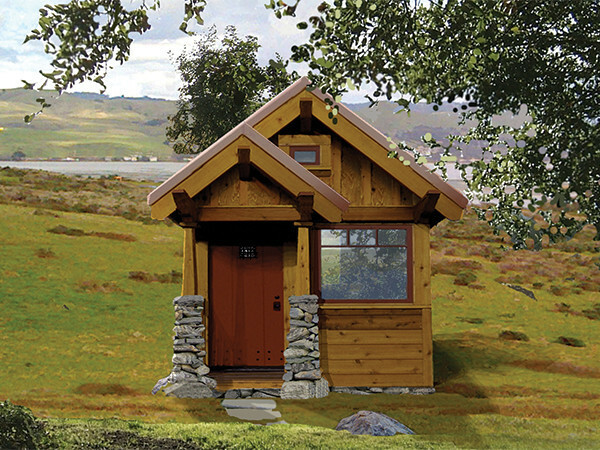 Overall, a very detailed craftsman styled house with the look of a timber frame cabin – few tiny house plans offer this look and attention to detail. 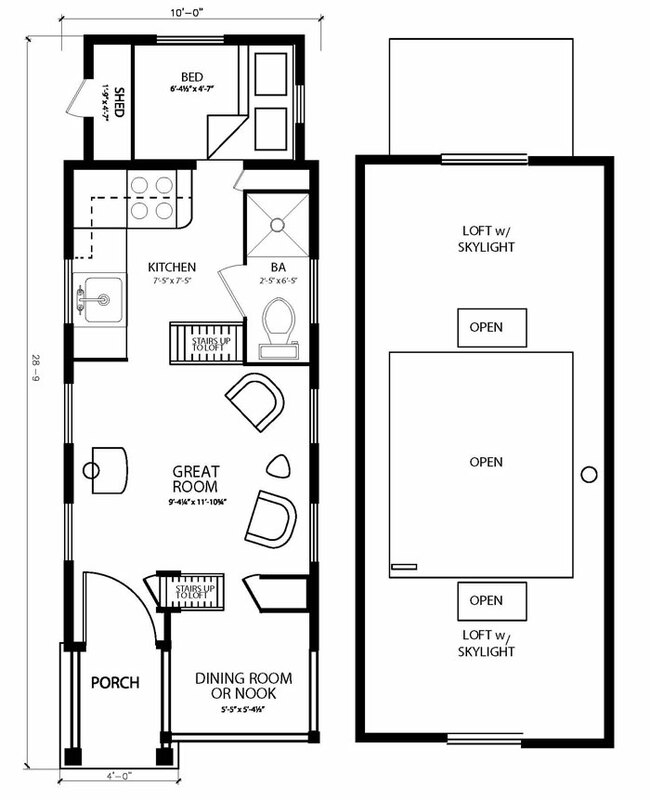 First and foremost, Four Light tiny house plans are not cheap! But as with all things in this world, you get what you pay for. 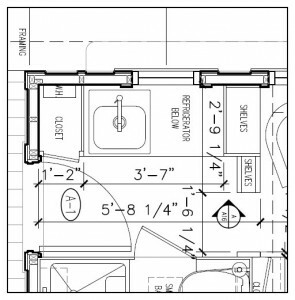 In this case, a premium set of plans available for a tiny house. Even though it does hurt a little to dish out $499 (shell plans) to $699 for the fully finished plans. On the other hand, if you are not one to design your own space or modify plans, Four Lights is likely to be your best bet for rock solid plans. Pictures? Or better put, a lack there of… Now I know Jay Shafer only started Four Lights a few years ago but I do feel that he could be providing a lot more pictures of the tiny houses they offer (even if they were 3D renderings). There is a few, but no where near enough to get you drooling over the interior of any of the units. For the price range of these plans, having a good selection of pictures would sure be a big plus. 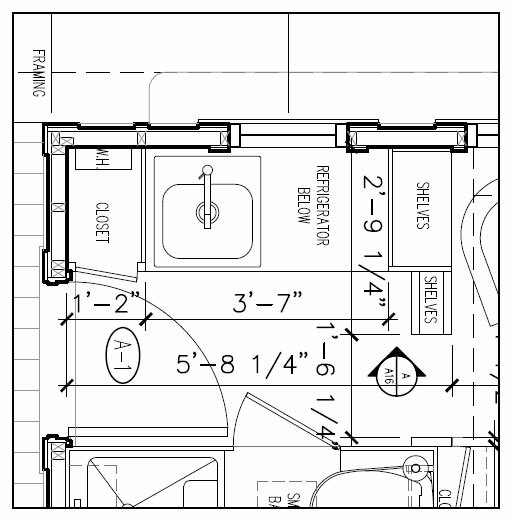 If you are looking for a tiny house plan best suited to a fixed foundation, Four Lights is one of the best options. However, if you really want a more mobile unit that does not require a commercial license or special permits to tow, then Tumbleweed Tiny House plans are probably a better fit – and they offer the “Best” plans for “mobile” tiny houses. 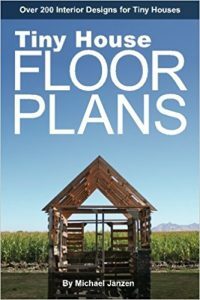 In my opinion, plans reaching the price range of $500 or more should include a printed set of plan (or at least the option). Four lights only offers a downloadable version. However, that said, Tumbleweed Tiny Houses only offer their plans in digital format (PDF) as well, and their plans are considered the best available and average $750 each. I guess digital delivery of plans is the way of the future (and it is instant – no waiting for plans to arrive in the mail). For more information and pictures of this Marie Colvin, or to purchase the plans, please visit the Four Lights Tiny House Company Here. Jay Shafer originally founded The Tumbleweed Tiny House Company. He left Tumbleweed to start the Four Lights Tiny House Company. Jay has a passion for quality and Four Lights now focuses on Craftsman Styled Tiny Houses, whereas Tumbleweed remains focused on mobile tiny houses. Jay has turned his attention and designs mainly toward tiny houses on fixed foundations and slightly larger tiny houses. 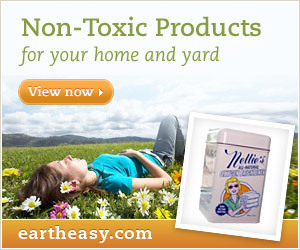 These designs allow for a little more living space and more appealing, natural designs. Jay Shafer has been living in, and designing tiny homes for people all over the world. With a passion for living simply, he has designed beautiful, functional little dwellings for others while teaching his philosophy and techniques at more than 35 workshops in the United States and Canada.